How to Prevent Pipes From Freezing | JJ Building Supplies, Inc.
Are your customers worried about frozen pipes? Here are some tips to reassure them they can win the battle against Mother Nature. As unusually cold weather plagues large parts of the country, homeowners from South Carolina to Michigan (and even Texas) are worried about frozen, busted pipes flooding their homes, causing thousand of dollars of damage. 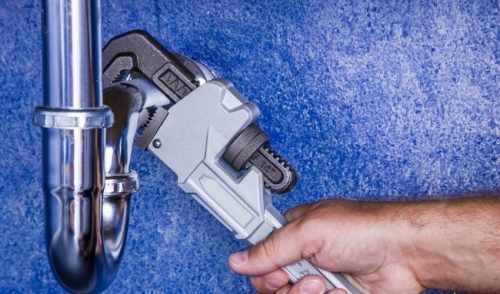 • Remove hoses from outside faucets- if you leave hoses connected, with water still in them, there’s no place for water from the faucet, or water line to drain. The trapped water freezes and expands creating a crack in the line INSIDE the wall of your, spewing water everywhere. Wrap an insulated cover, towel, foam, or even newspaper around the faucet, cover in plastic, then tape to hold in place. • Insulate exposed water lines - you can buy insulated sleeves from the hardware store which slip easily around exposed pipes in the garage, attic, basement, or outside. These areas are more susceptible to freezing. • Work from the faucet, back, to check for ice blockage- run a hair dryer, or heat gun back and forth along the pipe, warming it gradually. Never put a heat source directly on the pipe, especially if it’s PVC. It could rupture the pipe. Never use an open flame. • Pour a tablespoon of salt down the drain, but do not add water. The sudden temperature change could crack the pipe. • Check for leaks-if you see any leaks, in any pipes, shut off the main water valve to the house, and close all faucets.